Another rising star, Tucker Robinson, is packing up to go home after a successful Pre-futurity for the Robinson family. 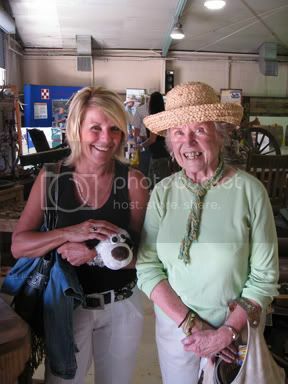 Pictured here, also, is Tucker’s beautiful mom and grandmother. How adorable are they! 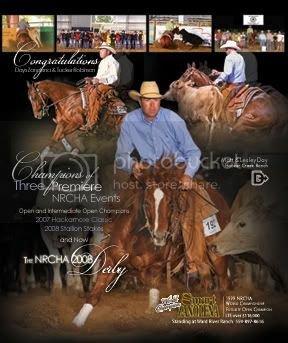 Pictured here is Tucker’s latest ‘Congratulations’ ad highlighting his three big NRCHA Open and Limited Open championships–the latest of the three was the 2008 NRCHA Derby.